This Cheetos-stacked chicken sandwich is a cheese lover's dream, but there's a catch. The Cheetos tagline may be "It ain't easy being cheesy," but Kentucky Fried Chicken begs to differ. 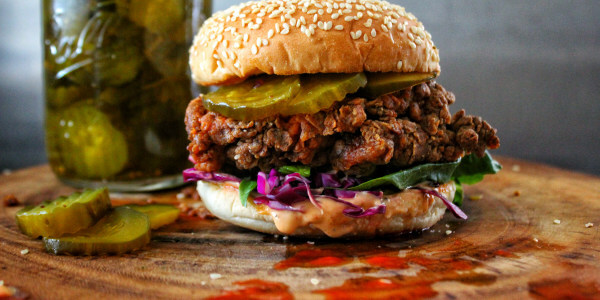 According to a company spokesperson, the fried chicken chain is teaming up with the brilliant masterminds of our favorite crispy snacks to make one dangerously cheesy sandwich. Anyone who's been caught orange-handed with an empty bag knows the snack can be addicting. It's probably why so many big brands have incorporated Cheetos into menus. Burger King's 2016 Mac-n-Cheetos mashup was so successful it debuted Flamin' Hot Mac-n-Cheetos the following year. Regal Cinemas also made movie-theater munching cheesier than a Valentine's Day rom-com with Cheetos popcorn. Even smaller businesses have capitalized on Cheetos' hot flavor by mixing it into ice cream. But all snacks and desserts aside, Colonel Sanders is making it his mission to give Cheetos the main-dish treatment. 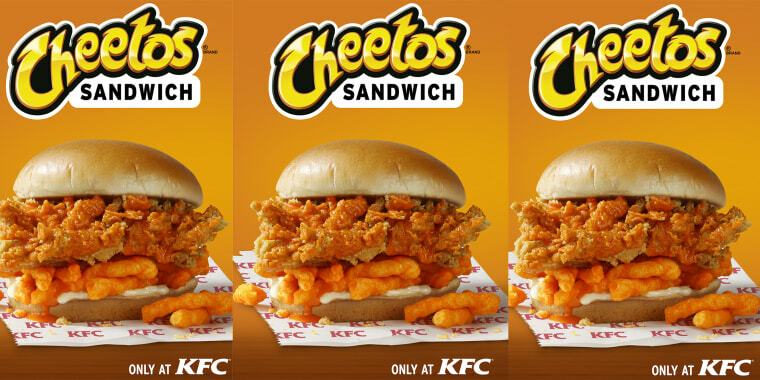 The Crispy Colonel's signature extra-crispy chicken filet will be prepared on a layer of Cheetos and doused in a Cheetos sauce with mayo on a toasted bun. As of Tuesday, the item became available for a limited-time test run and only in certain markets. It debuted in Greensboro and Raleigh, North Carolina; Roanoke and Richmond, Virginia and Greenville, Georgia. Hopefully new parents can refrain from naming their newborn child "Chicken Cheetos." It's far too big of a name to live up to.